Size : 17.5 x 18.7 mm. Weight : 3.10 grams. Reference : Sear-2300 variety. RSC-364. Grade : gVF, well centred. Obverse : Head of Vespasian right, with IMP CAESAR VESPASIANVS AVG around. 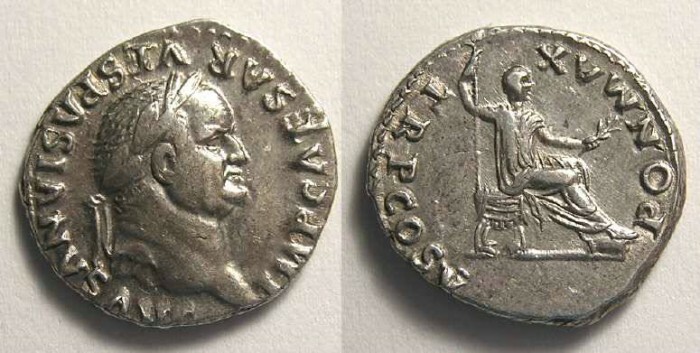 Reverse : Vespasian seated right, holding a sceptre and branch, with PON MAX TR P COS V around.